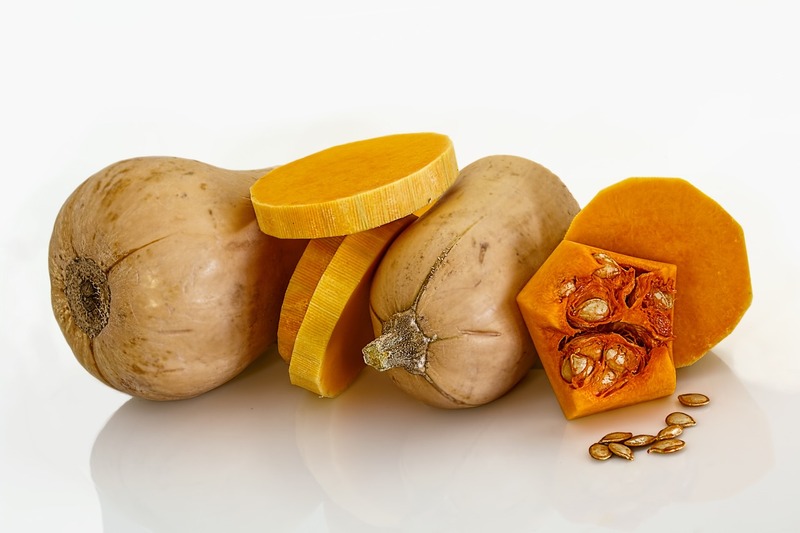 Butternut squash is a good source of vitamin A & C, potassium and dietary fibre. Potassium is important in lowering blood pressure and keeping it from rising. Vitamins A and C are in the group of vitamins known as anti-oxidants, which may help keep inflammatory processes in check, which is good for things like heart disease and the protection against cancer. Caution: some medicines may cause potassium levels in the body to rise, which may be damaging to the kidney. Whilst eating butternut squash is safe, some people may need to moderate the amount of high potassium containing foods. 2. Boil a kettle and make up the stock according to pack instructions (you want about 1 litre of stock). 3. Heat the remaining oil in a large pan/wok/skillet over a medium heat. Add the onion, fennel seeds and cayenne pepper and cook for about 5 minutes. Add the rice and stir for a minute until all the rice is coated with oil, onions and spices. Add the wine and stir until absorbed, then gradually add the stock little by little, stirring until each part is absorbed then add a little more. This will take about 20 minutes. Taste to ensure the rice is cooked. 4. Add peas, cheese and stir for a further 2 minutes. Remove from heat and add the chopped herbs and 2/3 of the roasted squash. 5. Serve with a spring of mint/sage/parsley – depending upon which you chose to use.